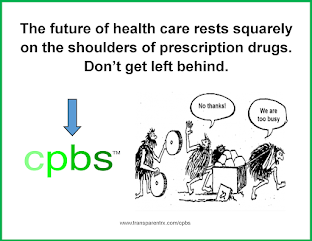 Pharmacy benefit managers (PBMs) buy drugs from manufacturers, distribute them to patients, and manage drug benefits for insurers and employers. Once an obscure segment of the health care financing landscape, pharmacy benefit managers have become industrial behemoths with revenues and profits that have outstripped those of the pharmaceutical companies that develop the drugs they distribute. There’s already a lack of transparency when it comes to drug prices and employers may have even less access to critical information if the insurer and the pharmacy benefit manager are the same entity. It’s going to be more difficult to get behind the curtain. 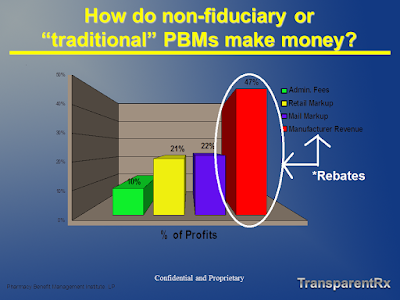 As intermediaries, non-fiduciary PBM companies profit twice on each transaction: They get fees from insurers and employers while obtaining rebates from manufacturers that are entirely hidden from public view. 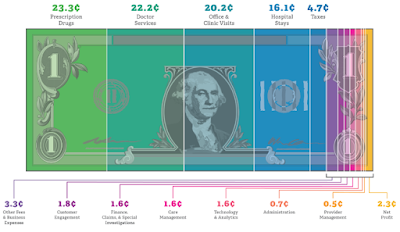 Across the industry, payments from pharmaceutical manufacturers to intermediaries now exceed $100 billion per year.